EL BATAN, Mexico (July 1, 2017) — The urgent global response to wheat blast, a little understood fungal disease that appeared suddenly and blighted wheat crops in Bangladesh in 2016, has received a big boost from the Australian Centre for International Agricultural Research (ACIAR), which is funding an initial four-year research project to breed blast resistant wheat varieties. The wheat blast pathogen, which can move on air currents or ride infected grain, is likely to spread soon throughout South Asia, a region where rice-wheat cropping rotations cover 13 million hectares and nearly a billion inhabitants eat wheat. Under the initiative led by the Mexico-based International Maize and Wheat Improvement Center (CIMMYT), researchers from nearly a dozen institutions worldwide will join forces to develop high-yielding varieties with resistance to blast, reducing the risk of catastrophic crop losses. Caused by the fungus Magnaporthe oryzae pathotype Triticum (MoT), wheat blast was first identified in Brazil in 1985 and has threatened and constrained wheat farming in South America for decades. Wheat experts and government officials in Bangladesh, in collaboration with CIMMYT, sounded the alarm last year, when a surprise blast outbreak struck 15,000 hectares of wheat fields near the country’s border with India. “With rising temperatures, more intense cropping and global travel and grain trade, farmers worldwide are facing the emergence and spread of new or modified strains of deadly crop diseases,” explained Singh, who will coordinate the new project. As a source of such genes, scientists will draw upon “synthetic wheats” created by crossing durum-type lines with hardy grasses that formed part of the crop’s pedigree some 10,000 years ago. Deploying the genes in elite wheat lines will require studies to understand the genetic bases of resistance to wheat blast and to discover DNA markers linked to resistance. “The Bangladesh strain of blast is much more aggressive than the strains collected in the early days of observation in South America, when the disease was considered an oddity unable to cause large epidemics,” said Hans-Joachim Braun, director of the global wheat program at CIMMYT. 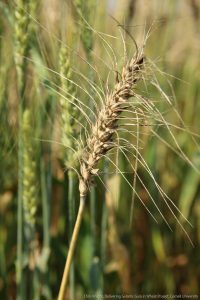 The project will also benefit wheat breeders and farmers by identifying new genes for blast resistance and generating information on host-pathogen interactions. All resistant wheat lines and data created will be freely available to breeding programs, seed producers and farmers in South Asia and wheat-growing countries worldwide. Among key partners in the new project are the agricultural research organizations of Bangladesh, including the Bangladesh Agricultural Research Institute (BARI) through its WRC, and the Instituto Nacional de Innovación Agropecuaria y Forestal (INIAF) of Bolivia, which will assist with large-scale field experiments to select wheat lines under artificial and natural infections of wheat blast. Other partners include national and provincial research organizations in India, Nepal, and Pakistan, as well as Kansas State University-Manhattan and the U.S. Department of Agriculture (USDA-ARS, Fort Detrick). 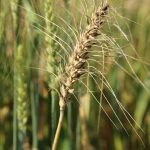 “Given the manifest instability of global food markets and increasing disease and climate change threats to farm productivity in South Asia, it makes perfect sense to help countries protect their capacity to meet much of their own domestic demand for this major food grain,” said Eric Huttner, research program manager at ACIAR. With over 160 million people, Bangladesh is one of the world’s most densely populated countries. Wheat is Bangladesh’s second most important staple food after rice. With an annual production of around 1.35 million tons and consumption of 4.5 million tons, the country currently imports more than two-thirds of its wheat grain at an annual cost exceeding $0.7 billion. The ACIAR-funded work is part of a larger, global effort involving blast surveillance and forecasting, studies on the pathogen’s genetics and biology, integrated disease management and seed systems, raising awareness about the disease, and training for researchers, extension workers, and farmers. “The magnitude of the challenge requires broad partnerships of the type CIMMYT maintains and ACIAR supports. Partnerships make it easier to share knowledge and bring together the results from diverse and complementary research organizations across regions,” Huttner said.